Toronto is a very expat-friendly city, and would not be anything it is today without a strong foreign presence from many different sources. It is Canada’s top choice for immigrants to settle, work and raise families. Apart from being the most diverse city in the world, it is also a global city that is one of the top financial centers worldwide. It is cosmopolitan, safe, clean, international, and full of different neighborhoods and dozens of cultural institutions. It is bike-friendly and has the third largest public transport system in North America, after New York City and Mexico City, consisting of a subway, streetcars and busses. It is on Lake Ontario, as well as the Humber and Don Rivers. There are many parks and public spaces, and of course dozens of tourist destinations. It has 2.5 million people, and makes up 8% of Canada’s population, and 30% of all recent immigrants. Almost one-third of people in Toronto speak a foreign language at home (not English or French, though French is hardly spoken there). Half of Toronto’s population was born outside of Canada. 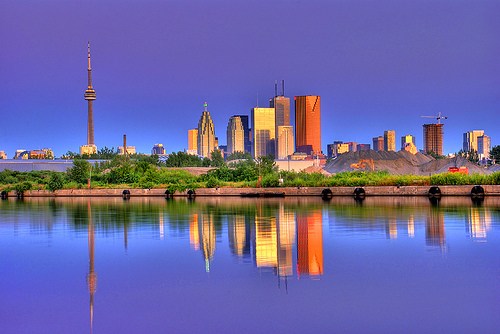 Many of the native Toronto residents descend from Great Britain and Ireland. Many immigrants also come from India and Sri Lanka. Residents report to being from over 200 distinct ethnic origins. Other than English and French, you will often hear Chinese (Cantonese and Mandarin), Italian, Punjabi, Filipino, Spanish and Portuguese. 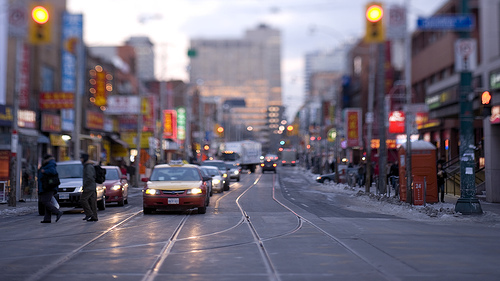 Aboriginal peoples make up 0.5% of Toronto’s population. For information about Immigration, visit the city’s Immigration and Settlement Portal. Toronto is a Beautiful City with sooo much to do and see. .. It is such a friendly and helpful city. .. I mean if something is going wrong, they will do anything to help. It is a home to the World! .. It is such a Multicultural City. Over 100 lanuages spoken there. Its very Vibrant, awseme, and always something to do. 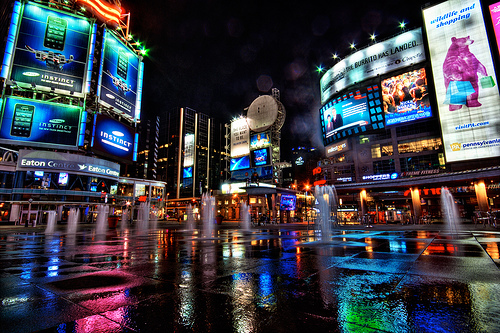 T.O is the best City in the World! T-DOT is the BEST! — Forget the REST! well hailey is absoluttely right, Toronto is the best city in the world. not only is toronto the most diverse city in the world it is home to the most beautiful women in the world. i been to most big citys in the americas and in europe and found that toronto , ontario , canada has the most gorgeous women, hands down. Toronto is the most diverse city in the world only on a PER CAPITA basis. Based on sheer ABSOLUTE NUMBERS, New York City is the most diverse city in the world, with approximately 800 languages spoken within its boundaries, compared to approximately 200 in Toronto. I like Toronto, though – it is a nice, quaint town to visit. Too cold to live, however. If you think Canada, the best city is by far Montreal.